Non-drying, triple-milled bath soap scented with D.R. 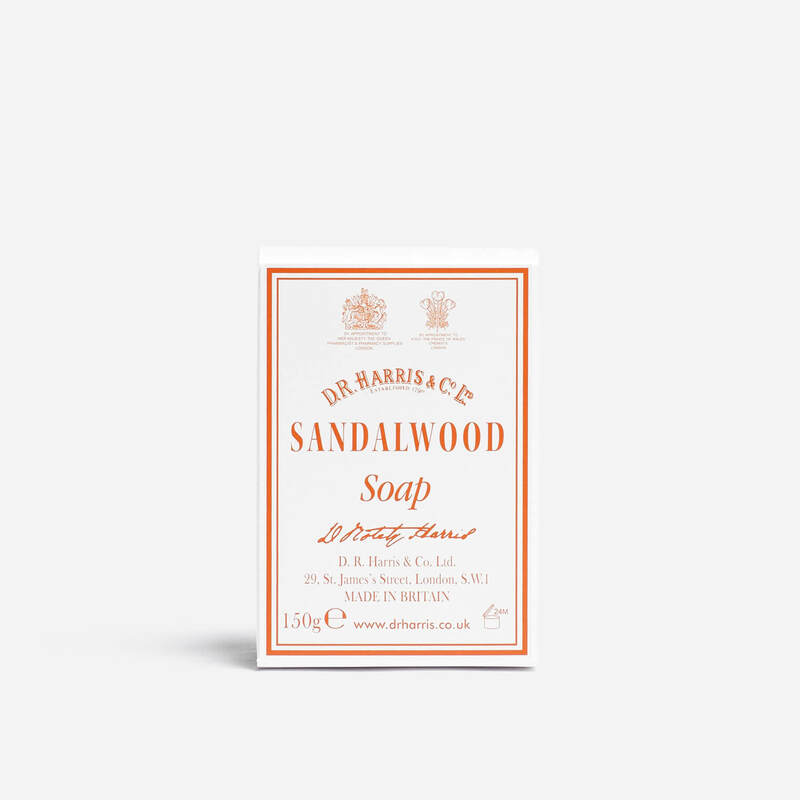 Harris’ sandalwood fragrance. Sodium Palmitate, Sodium Cocoate, Aqua (Water), Glycerin, Parfum (Fragrance), Butyrospermum Parkii (Shea) Butter, Sodium Chloride, Linalool, Coumarin, Disodium EDTA, Limonene, Tetrasodium Etidronate, Pentasodium Pentetate, Eugenol.